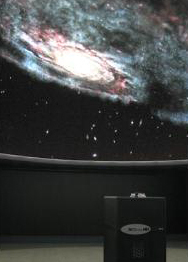 Every Tuesday night, the Leitner Observatory presents shows in the planetarium theater that are open to the public. 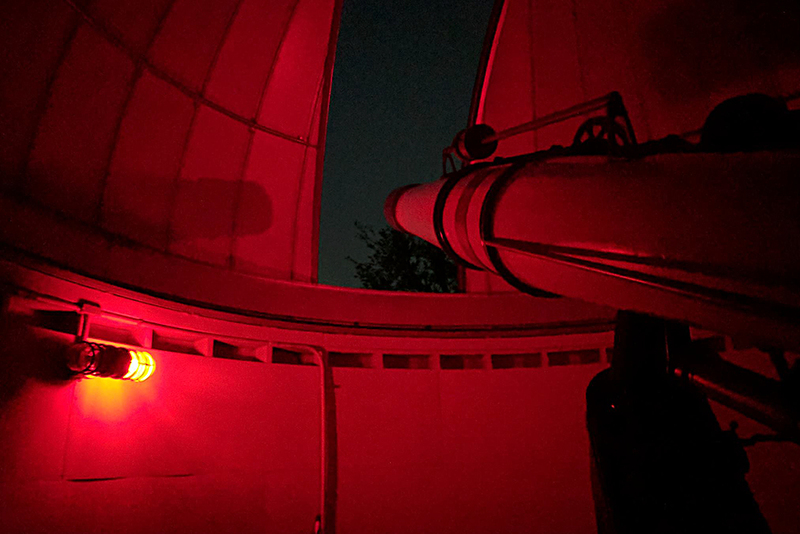 Following the show on Tuesday nights (weather permitting), participants are invited to observe the night sky through one of the Observatory’s telescopes. The observatory has two permanently mounted telescopes. The historic 8-inch Reed refractor, mounted in the east dome, was purchased by Yale in 1882 to study the transit of Venus across the face of the sun that occurred that year. The telescope was refurbished in 2004, and it is now used for visual observations of planets and stars. A computer-controlled, 0.4 meter reflecting telescope is mounted in the west dome. Inside the main building, we have a lecture hall with space for about 70 people where public lectures and some astronomy department classes and meetings are held. There are displays here about the history of astronomy research at Yale, and we have several historic instruments on loan from the Peabody Museum, including the 5-inch Dolland refractor, an historic instrument used by Yale astronomers Stiles and Loomis to spy the return of Halley’s Comet in 1835.